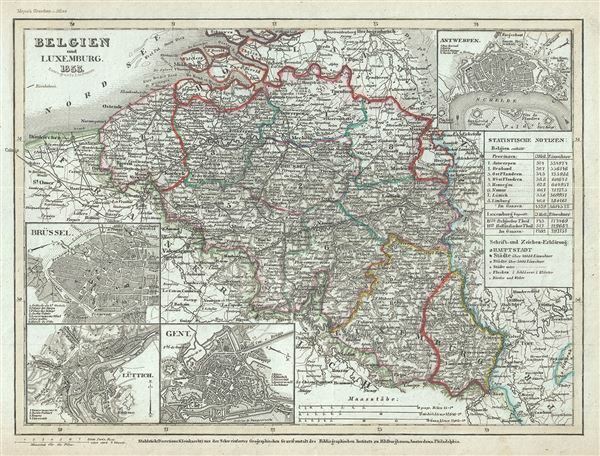 This is a beautiful 1852 example of Joseph Meyer's map of Belgium and Luxembourg. It covers from North Flanders to Luxembourg and includes parts of Holland (The Netherlands), Germany and France. Throughout, the map identifies various cities, towns, rivers and assortment of additional topographical details.